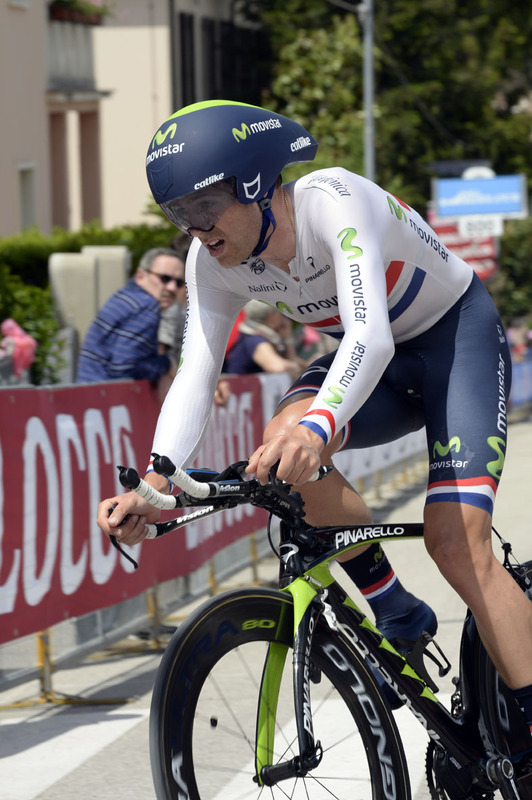 Alex Dowsett (Movistar) won the 2013 Giro d’Italia stage eight individual time trial on Saturday – an impressive stage win in the Essex man’s first Grand Tour outing. Vincenzo Nibali (Astana) moved into the overall race lead after a strong ride to place fourth on the stage. Bradley Wiggins (Sky) finished in second place on the stage, with Tanel Kangert (Astana) in third. British time trial national champion Dowsett put down an early fast time and had a nerve-wracking day in the hotseat as rider after rider failed to beat his time of one hour, 16 minutes and 27 seconds over the testing 54.8-kilometre course. Dowsett caught and passed former Trek-Livestrong team-mate Taylor Phinney (BMC) en route to his win. “The only thing I was surprised about was catching Phinney… I heard Spanish on the radio, I couldn’t work out if they were saying I was one and a half minutes up on Phinney or one and a half minutes from catching him,” said Dowsett. Wiggins had his work cut out for him having lost a significant chunk of time to his overall rivals on the preceding stage after crashing on a rain-soaked corner to slip to 23rd overall. The first half of the time trial didn’t go well for Wiggins. 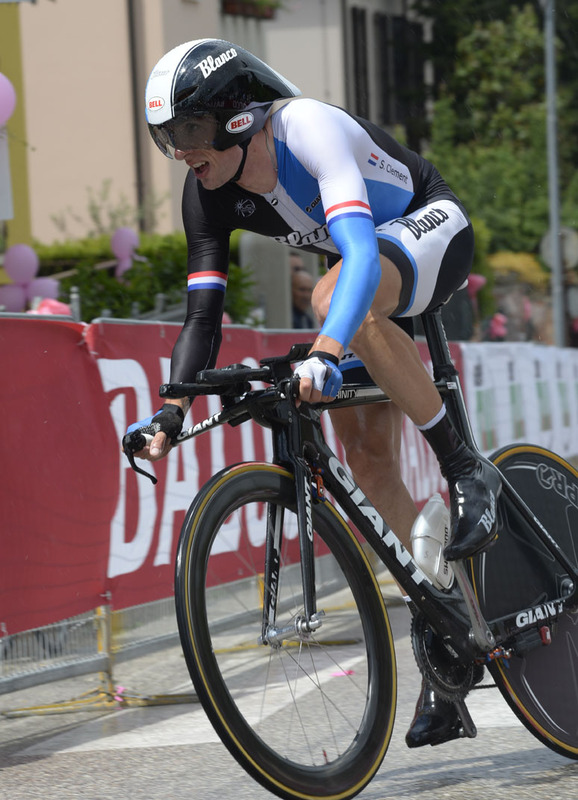 He came through the first intermediate time check at 26km, 52 seconds slower than Dowsett and a minute slower than Nibali having changed his bike from the one-off Pinarello Bolide to his older Graal model after suffering from a rear puncture. A master of pacing, Wiggins then went faster in the second half to come home in second place behind Dowsett, at 10 seconds. 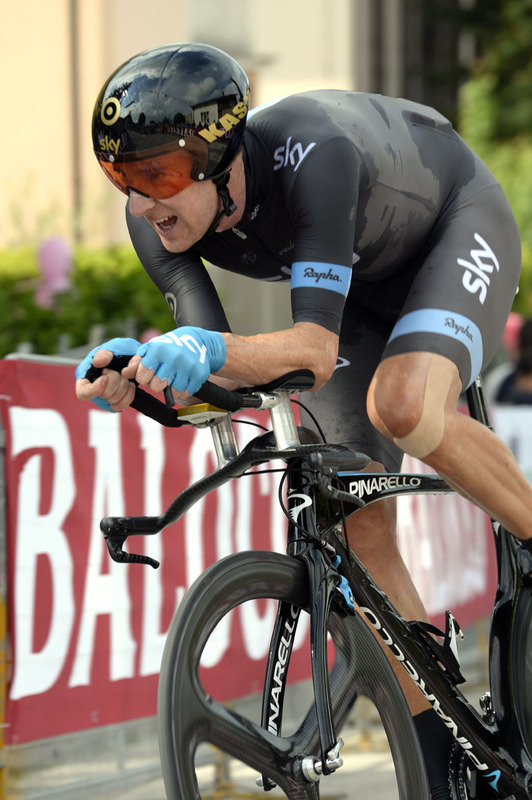 “I think there was some initial disappointment because I wanted to win the stage,” Wiggins told www.teamsky.com later. “It’s been a challenging few days with the crash yesterday and then to come back up. It wasn’t an easy course. 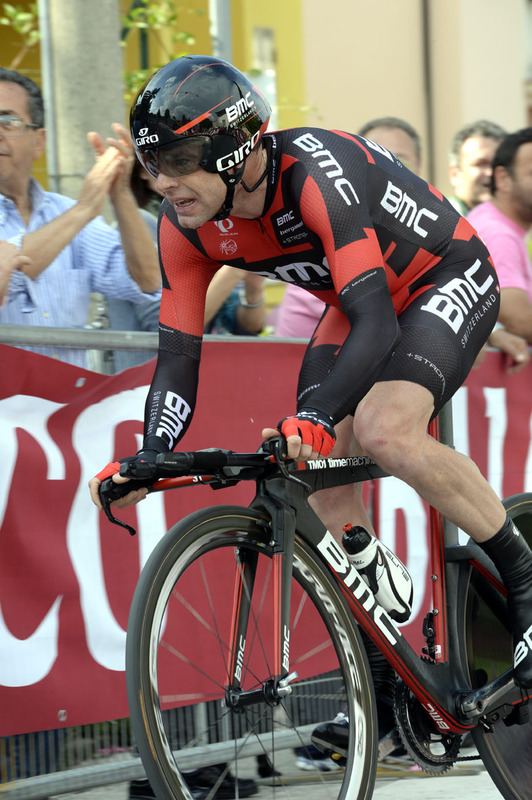 “Then obviously to have a puncture and have to change bikes and disrupt the rhythm is never going to help. But then the second part of the course was really suited to me and I took back a lot of time on people there. Nibali rode very strongly to place fourth on the stage, just 11 seconds adrift of Wiggins – far less of a deficit than the minutes many had predicted before the stage. Nibali now sits 29 seconds ahead of Cadel Evans (BMC) overall, with Robert Gesink (Blanco) in third at 1-15 and Wiggins in fourth at 1-16. Michele Scarponi (Lampre-Merida) also put in a strong-than-expected ride to place 10th on the stage and move up to fifth overall, just eight seconds behind Wiggins. Overnight leader Benat Intxausti (Movistar) slipped out of the top ten after placing 44th on the stage, some 4-02 behind team-mate Dowsett.